It’s fun when you cook something that brings back wonderful memories of great times and special friends. This is a recipe I used to make a lot when we lived in Alaska and my husband, Jasen and I were leading the young adult ministry there. It was always a favorite! It feeds a crowd and is quick and easy. 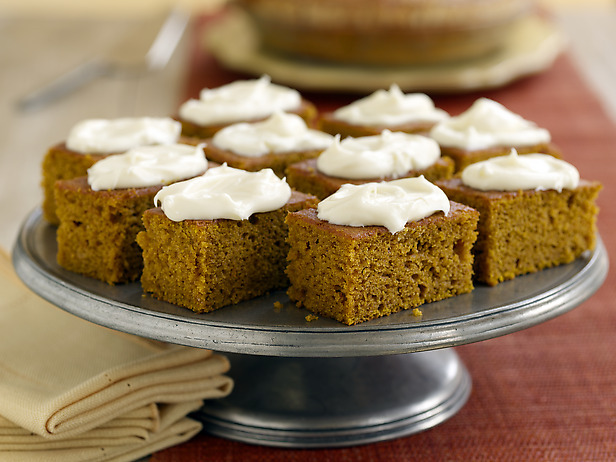 Beat frosting ingredients together and spread over cooled pumpkin bars.